Beautiful inside and out – with a gorgeous necklace to match! Meet a pretty glitter pony who knows that true beauty is on the inside. 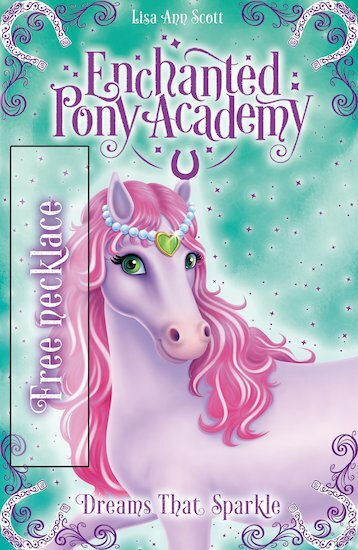 Belissima is the prettiest pony at the Enchanted Pony Academy – a school where magical ponies learn to spread their wings. Trouble is, everyone’s so busy admiring her looks that they don’t notice how talented and hardworking she is. Belissima dreams of a day when the others realise that she’s far more than just a show pony. And when the royal children arrive to choose their glitter ponies, it’s her last chance to prove that her real magic isn’t about how she looks!